Though relations between Russian President Vladmir Putin and Israeli Prime Minister Benjamin Netanyahu appear friendly, the recently-revealed missing piece to a 400-year-old prophecy warns that Russia’s pre-Messianic intentions towards Israel might be far more aggressive than anyone suspects. When Turkey shot down a Russian warplane in November 2015, nearly igniting a war between the two countries, the prophecy seemed to be materializing. Two months ago, the Russian Navy sailed for the Mediterranean, bolstering their already formidable military presence in the region and setting the stage for the prophesied confrontation to occur at any moment. 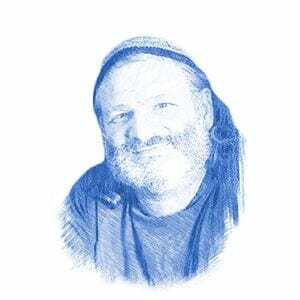 In a lecture last week, Rabbi Yekutiel Fisch, author of the Kabbalistic book Sod Hachashmal (“Secret of the Electricity”), noted that most people familiar with the prophecy credit it to the Gaon, but claimed that the teaching has even more ancient roots. Rabbi Fisch’s teaching was picked up by Yeranen Yaakov, a Jewish end-times blogger, who made the connection. Rabbi Fisch attributed the original prophecy to Samson ben Pesah Ostropoli, a noted mystic who was killed in a pogrom in Poland in 1648. In his book Mahaneh Dan (“The Camp of Dan”), which has since been lost, Rabbi Ostropoli made the same claim about Russia conquering Turkey. But unlike the prophecy attributed to the Vilna Gaon, Rabbi Ostropoli’s original prophecy adds that Russia will do so with the true intention of conquering Israel. Thus far, Israel seemed to be uncharacteristically unentangled in the growing Middle Eastern conflict centered around Syria, and the friction between Russia and Turkey doesn’t appear to involve Israel at all. But Russia has never been neutral in the region and all of Israel’s regional enemies bear Russian arms. In Syria, the Russian military is currently assisting its ally, Syrian President Bashar al-Assad, a long-time declared enemy of Israel, to overcome rebel forces in a bloody civil war. 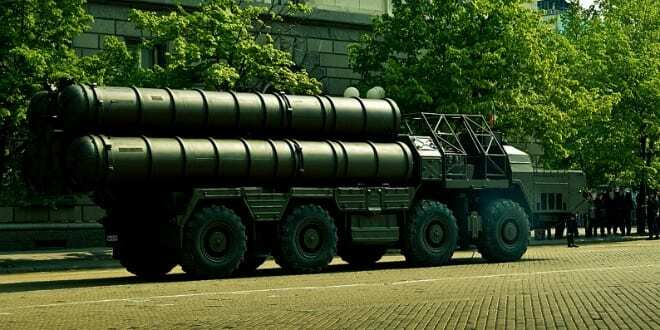 And in nearby Iran, which has vowed to wipe Israel off the map, Russia recently supplied the Iranian Revolutionary Guard with the state-of-the-art S-300 anti-air weapons system. As to the diplomatic ties between Israel and Russia, Professor Efraim Inbar of the Begin-Sadat Center for Strategic Studies told Breaking Israel News that relations may not be as warm as they appear. “These relations are based on specific and narrow understandings in order to prevent clashes,” Professor Inbar explained. “With Russian warplanes operating so close to the Israeli border this is necessary, and it is in Israel’s interest not to have any disputes with Russia. But there is no signed treaty or formal agreement. “It should be remembered that Russia sides with Iran, supports Hezbollah, and even has relations with Hamas,” Professor Inbar warned. In a lecture given last year, Rabbi Moshe Sternbuch, chief judge of the Edah HaChareidis in Jerusalem, discussed this prophetic teaching, asking why Turkey would antagonize Russia, since Russia is far superior militarily. “We see in this the fulfillment of the teaching of our Sages that when Moshiach should come, God pits kingdoms against one another and they start war against their own will,” explained Rabbi Sternbuch. The original version of the prophecy written by Rabbi Ostropoli notes that Israel will undergo many processes. At first, Israel will be under Turkish rule, after which it will be under British rule, and, in the end, Israel will be under the rule of Russia. The Ottoman Empire ruled in Israel at the time Rabbi Ostropoli wrote his book, but the British Mandate in Palestine was still almost 300 years in the future when he predicted they would rule over Israel. Russia has never ruled Israel, but the Russian Army has never stood as close to Jerusalem as it does today.